Quickdraws have come a long way since the oval-carabiners-slung-on-a-tripled-up-sling days. 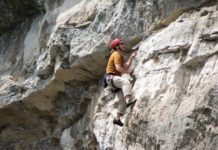 To help you find the best rock climbing draw, we tested eight of the most popular and highest rated draws out there. We climbed with these products almost daily for over two months; they clipped bolts, slings, cams, and nuts, on single and multi-pitch sport and traditional climbs. To evaluate each product, we measured how well it clipped and un-clipped, its portability, how well it handled, as well as how easy it was to grab. Oh, and we took some falls on each one too! 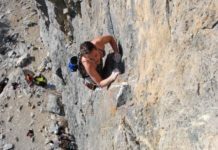 In this review, we will dissect all the major components of a rock climbing draw and what the key performance features are. 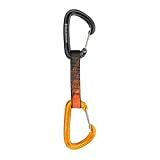 The Petzl Spirit Express has long been a favorite of sport climbers and beyond. 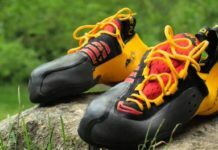 It received a makeover a couple years ago, and along with some new colors, they trimmed a few fractions of an ounce off its weight (in true sport climbing fashion, of course). 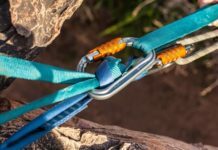 The Spirit Express comes with a keylock carabiner on each end and does everything a sport climber could ask for – clips are fast and snappy, the rope never snags on the keylock gate, and it was made to be grabbed. 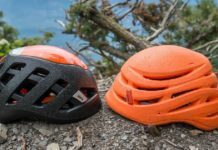 However, even with its latest weight loss it is still not really suited for long or alpine routes, so if that’s your main climbing style keep reading for our Top Pick for Lightweight. For everything else, the Spirit Express is top of its class. Just don’t loan them out or you may not get them back! 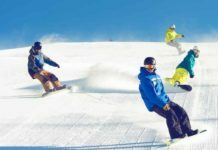 If you have a Spirit Express in your hand it might be easy to overlook the Black Diamond FreeWire, but you will do a double take when you see the price tag. You can pretty much buy two of these for the price of one Spirit! Our Best Buy choice performed well in most categories, and best of all, you can save money without sacrificing safety or durability. 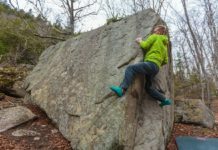 If you’re new to climbing and not sure which type of specialized draw you might want, start off with a set of these until you figure it out, and once you do they’ll make a great back-up set farther down the line. Includes two Oz carabiners on top and bottom and has a 10mm Dynex Dogbone with Straitjacket in between. The oz QuickDraw is lightweight and perfectly suited to traditional and multi-pitch climbing. Its keylocking wiregate is a great design, and the only downside to this draw is its hefty price tag. Put it on your Christmas list and hope Santa thinks you were nice. Sport – larger carabiners for quick clips, wide slings which are easy to grab. 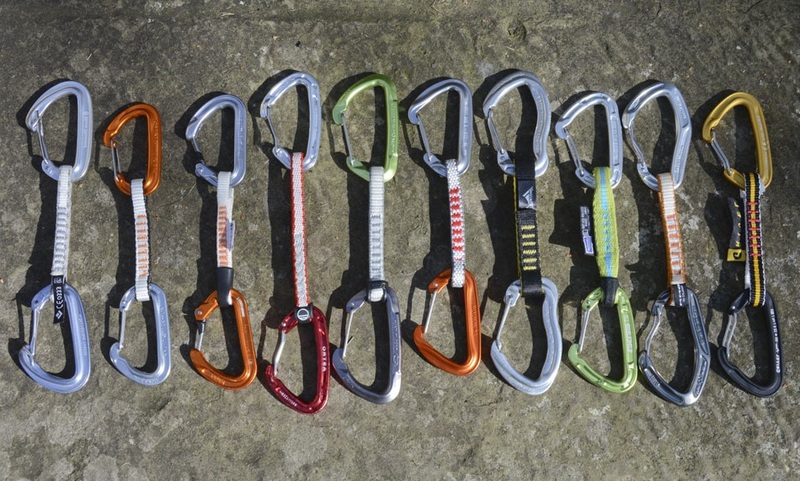 Traditional and Alpine – lightweight carabiners (some full-sized some not), narrow lightweight slings. All-around – there are still some draws made with this in mind, for the climber who does a little bit of everything. Whether you are seconding a multi-pitch climb or cleaning a sport route, the rope always has to get unclipped from your draw at some point. Confusing right? Long story short, if you want to avoid snags, avoid notched gates. To eliminate snagging, many draws have a top keylock carabiner. The products that performed best in this metric were the two draws with keylock carabiners on the top and bottom, the Petzl Spirit Express and the Petzl Djinn Axess, and also the Wild Country Helium Quickdraw, whose wiregate notch is buried in the nose of the carabiner. Although the Black Diamond Oz Quickdraw has an extra piece of stainless steel wire added above the hood to avoid snags, our testers still found it difficult to unclip due to its small size. 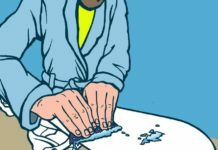 When you’re clipping from a tenuous position, you want the rope to clip fast and easily. Almost all of the draws we tested were easy to clip. Most of the products that we tested scored well in this category. Whether they were bent or straight, wiregate or keylock, it didn’t seem to make too much difference on how easy they were to clip. What did influence this metric was the size of the carabiner. 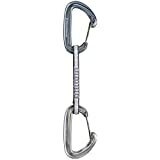 Even our reviewers with small hands found the smaller carabiners on the Black Diamond Oz more difficult to clip. Our testers’ favorite draw to clip was the full-sized Camp Photon Wire Express – its bent wiregate and wide opening seemed to clip the rope for you. The Petzl Spirit Express had a snappy clipping action, and the Wild Country Helium performed well also. 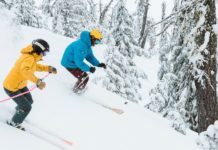 Our testers found the wiregates on Black Diamond’s HotWire, PosiWire, and FreeWire easy to clip as well. When clipping into a bolt, the main difference noted by our testers was that a wider and stiffer sling, like on the Petzl Spirit Express, made the draw easier to clip, particularly when stretched out. Otherwise, you are just pushing the gate against the bolt and there didn’t seem to be much difference between a wire or solid gate for that application. There are some noticeable differences between solid and wire gates. 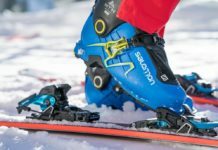 Wiregates are less prone to icing up, which is important if you plan to use your draws ice climbing or in cold conditions. Additionally, wiregates are thought to be less likely than solid gates to gum up and get “sticky” over time, meaning that they don’t fully close back after clipping; however some of our reviewers have noticed this on their wiregates as well. Solid gates have an internal spring that can get gummed up, and with wiregates sometimes the tension on the wire can decrease, leading to the same effect. While we weren’t able to assess this during our two month testing period, it’s an important thing to consider, because an open gate is potentially dangerous. The best solution is prevention. Keep your gear out of the dirt, wash your carabiners if they get dirty, lubricate them if they are sticky, and retire them once they no longer spring back. The standard weight quickdraws we tested in our review update, left to right: Black Diamond HotWire (3. 2oz), Petzl Spirit Express (3.3oz), Black Diamond FreeWire (3.5oz), Black Diamond PosiWire (3.6oz), and the Petzl Djinn Axess (3.8oz). Lead tester Cam McKenzie Ring climbs in Red Rock Canyon in Las Vegas with a set of the Black Diamond PosiWire draws. As an important part of any climbing kit, a set of quickdraws is a necessity for almost anyone who rock climbs with a rope. With the many options on the market, it can be a strenuous task to select one set over another. In addition to the expense of purchasing a full set of draws, a few major factors such as ease of clipping and portability need to be considered. This review is intended to help you with those decisions.